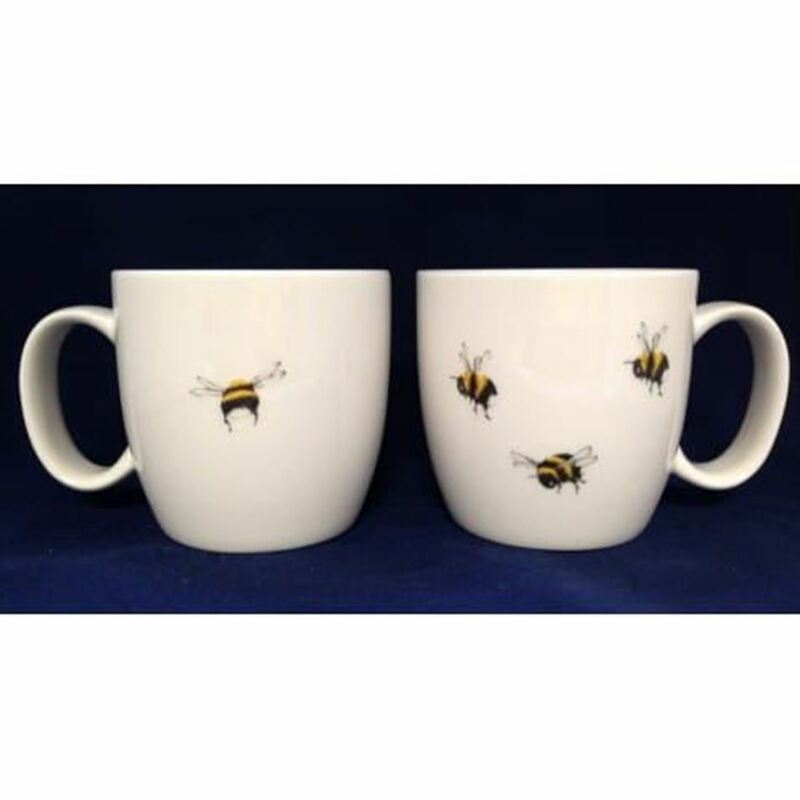 Bone china mug, approx 10cm height with buzzy bees, two or three on the front, one on the back. 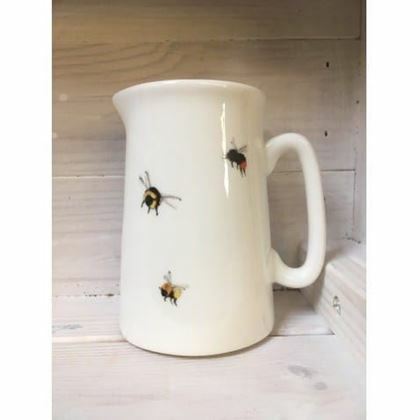 Bone china mug, approx 10cm height with buzzy bees, two or three on the front, one on the back. Bees may vary so no two mugs will be exactly the same. Bone china jug, approx 11cm in height. Two buzzy bees on the front, one on the back. 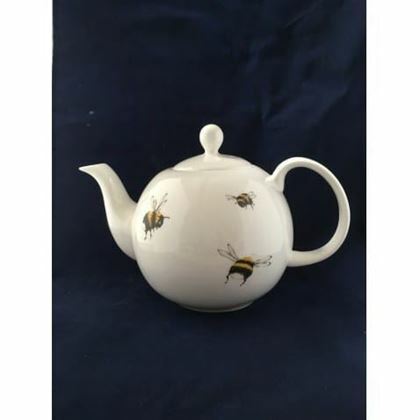 Fine Bone China 2 cup teapot by Elspeth Gardner, with new 'Bumble' range of bees. Two buzzy bees on the front, one on the back, and one on the lid. 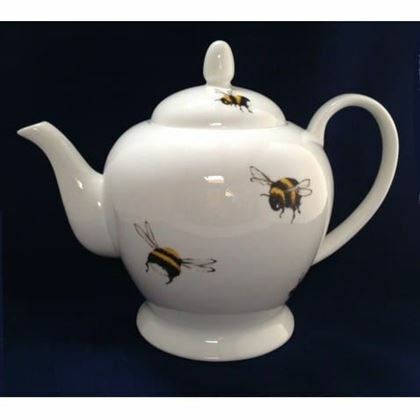 Fine Bone China 4 cup teapot by Elspeth Gardner, with new 'Bumble' range of bees. Two buzzy bees on the front, one on the back, and one on the lid.